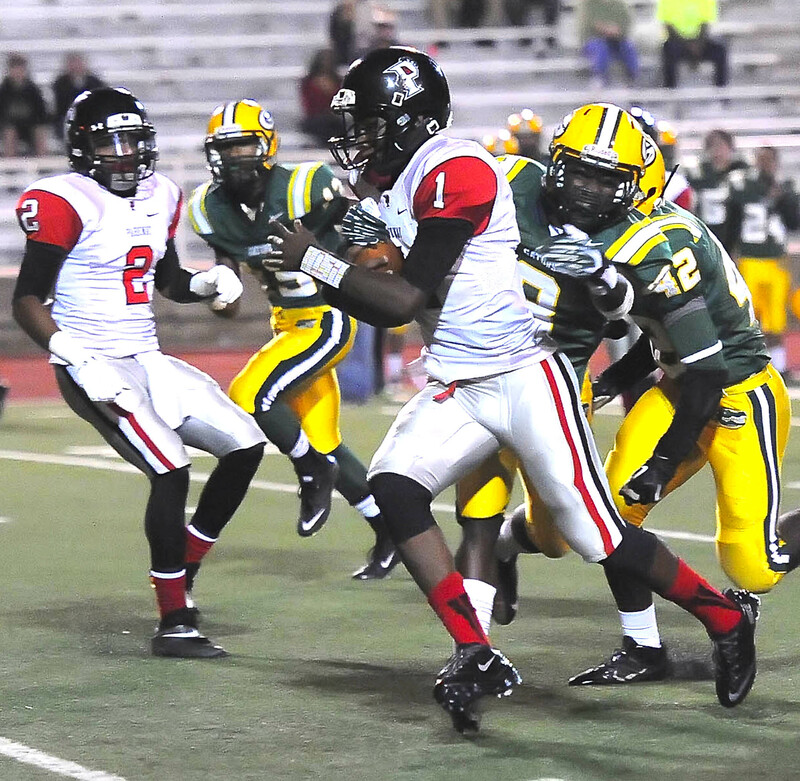 The Parkway Panthers took the first step toward their ultimate goal of winning a state title with a 41-7 victory over the Captain Shreve Gators in the first round of the Class 5A playoffs Friday night at Lee Hedges Stadium. The No. 2 seed Panthers (10-0) travel to the New Orleans area Friday for a second-round game against No. 15 East St. John (7-4), which knocked off No. 18 St. Amant 19-7 in the first round. The Panthers had little trouble with the Gators (3-8), whom they defeated 48-10 in District 1-5A play in Week 6. Parkway rolled to a 34-0 first-half lead. Quarterback Brandon Harris, an LSU signee, completed 12 of 22 passes for 313 yards and one touchdown with two interceptions. Parkway quarterback Brandon Harris passed for 313 yards and ran for 43 in a 41-7 Class 5A first-round victory over Captain Shreve Friday night. Most of Harris’ yardage came in the first half. He played only one series in the second. Harris’ lone touchdown pass, a 71-yarder to Cory Hamilton, was a thing of beauty. He hit Hamilton in stride around the 19-yard line as Hamilton sprinted down the Parkway sideline. Hamilton finished with three catches for 101 yards. Harris also rushed for 43 yards and scored on a 21-yard run. Brodrick Jefferson caught three passes for 78 yards, including a 37-yarder that set up the Panthers’ second touchdown. Parkway also rolled up 182 yards rushing and finished with 575 total yards. Demetrius McAtee gained 56 yards on five carries, including a 25-yard touchdown run. He also had three catches for 48 yards. William Knight, who rushed for 32 yards, scored touchdowns on runs of 13 and two yards. The Panthers defense also did its part. Shreve gained 174 yards rushing but had only 80 through the air. Austin Averitt led the way with 12 tackles and a fumble recovery. Zac Scroggins, Tray Walker, Micah Lacy and Matthew Harper had six tackles apiece. Walker forced a fumble, and Harper had three tackles for losses. Hunter Huckaby, Kyle Still and Marquis King had five tackles apiece. CJ Morgan had four. Avery Shoebridge was a perfect 5-for-5 on PAT attempts. “I’m very happy with our defense,” Feaster said. “Offense, defense, special teams, all around it was just a great game.